My Little Clown, This picture was taken on Daddy’s birthday. You would be 1 in 2 months. You were in a sticking your tongue out stage and I thought it was a riot. I used to stick your hair up in a semi mohawk and snap pictures of you as if I were getting paid for it. 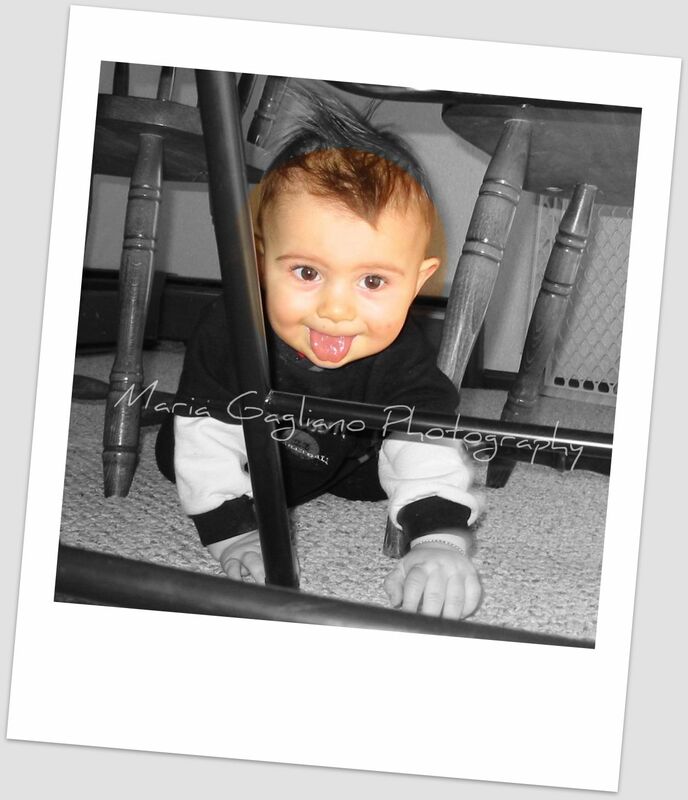 In this picture you were crawling under the table and I lied down on my belly and snapped about 100 pictures. This was my favorite of the day.